With a strong understanding of the Indian Child Welfare Act (ICWA) rights and responsibilities, tribal leaders and child welfare professionals can help ensure compliance, protect their communities, and protect tribal sovereignty. Protect your children. Know your rights. The Indian Child Welfare Act (ICWA) is a federal law passed in 1978 in response to the devastating number of American Indian and Alaska Native children being removed from their families and placed in non-Native homes. ICWA requires states and courts to protect the best interest of Indian children by keeping their connections to family, community, and culture intact. Compliance is mandatory yet many state and court systems are still struggling to understand and effectively meet these requirements. 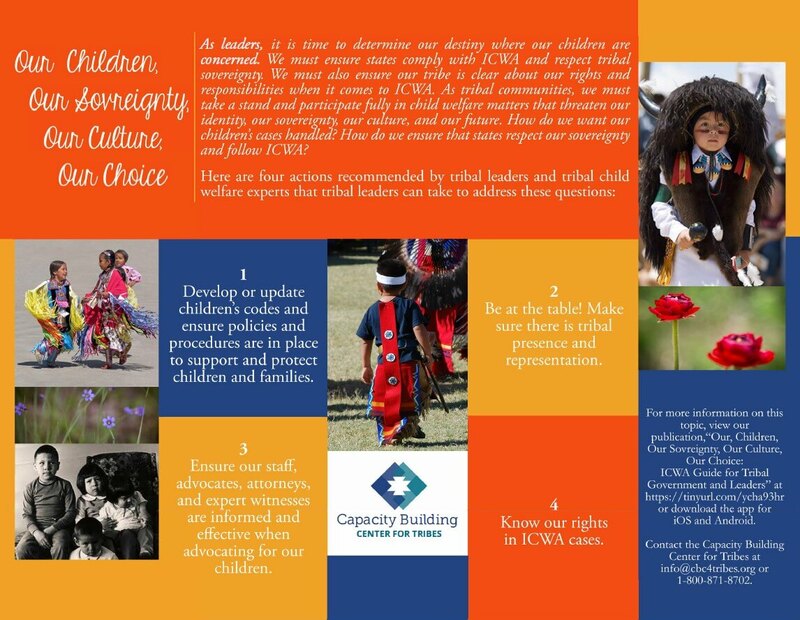 The requirements and intent of ICWA serve to protect a Native child’s best interest by maintaining their connection to their family and tribal nation. Historically, and in present day, Native children are disproportionality removed from their homes and often placed with non-Native families. Deviating from the placement preferences of ICWA has life-long implications for those impacted. Compliance with ICWA is mandatory yet many state and court systems are still struggling to understand and effectively meet these requirements. Non-compliance with this law perpetuates the disproportionate numbers of American Indian and Alaska Native children represented in state and county child welfare systems today. The Bureau of Indian Affairs (BIA) addressed this continued non-compliance by disseminated federal regulations governing ICWA in 2016. These regulations serve to create more consistency in ICWA implementation. (Fiscal Year 2015; Technical Assistance Bulletin September 2017). 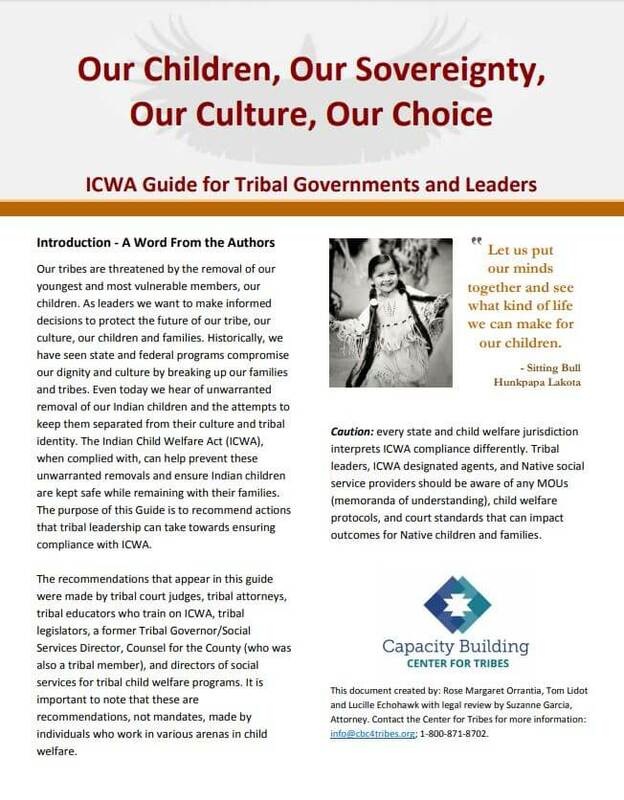 Recommendations from tribal leaders, tribal child welfare staff, and knowledgeable ICWA experts on actions that tribal leadership can take towards ensuring compliance with ICWA. View the app version online! download or print the guide! Without tribal, state and court collaboration to address how ICWA can meet the needs of Native children, the goals of ICWA cannot be fulfilled as the law was intended. 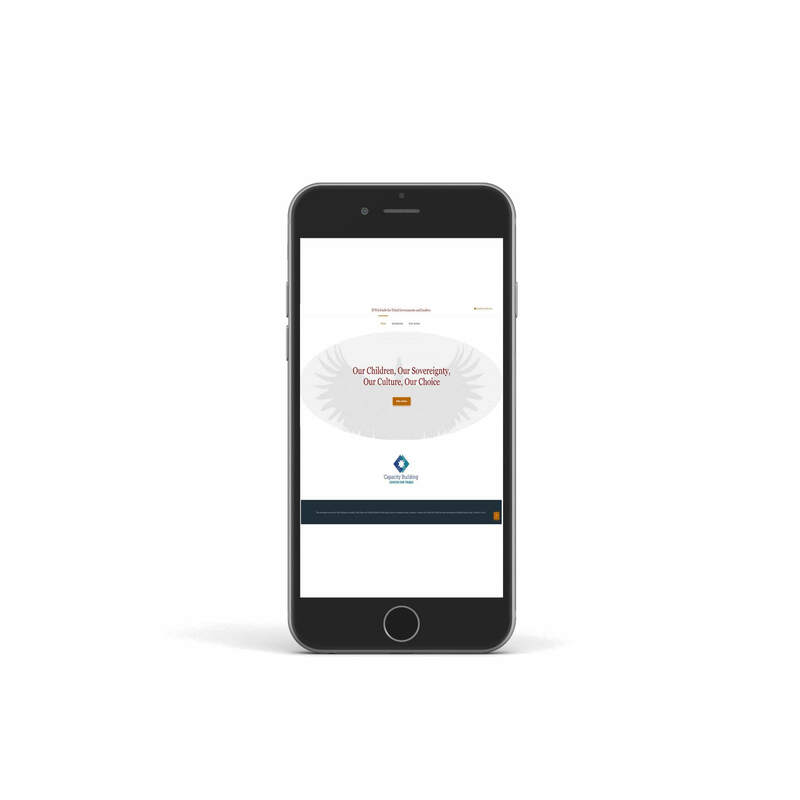 Learn about supporting culturally responsive services for American Indian and Alaska Native children, youth, and families and increasing ICWA compliance. Use this 3-day in-person training to engage in collaborative learning and action planning for stronger state-tribal partnerships. Register for free access to this curriculum and materials from the Capacity Building Center for States! ICWA compliance depends on having an available pool of Native resource families available when Native children must be placed into out of home care. 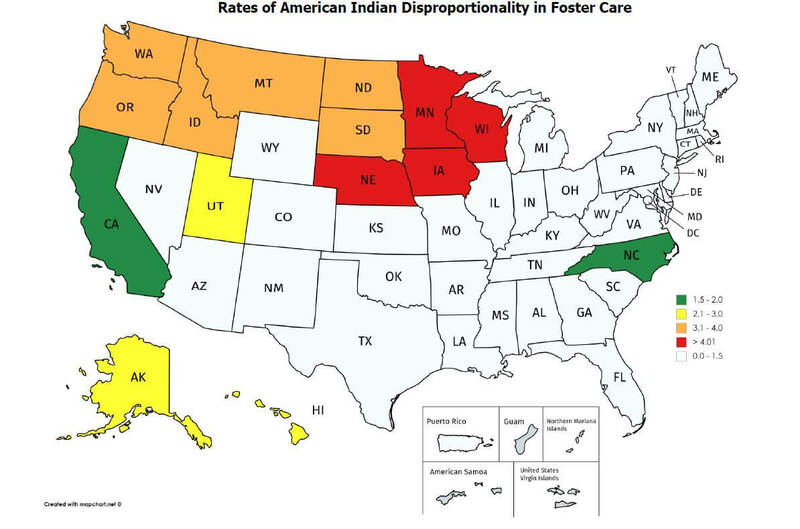 Beginning in October, 2020 states will be required to report on additional data elements related to ICWA within the Adoption and Foster Care Analysis and Reporting Systems (AFCARS) database. For updates and more information, visit What’s New in Laws & Policies from the Children’s Bureau. Federal law sets the minimum standards that must be met. Some states, however, have chosen to do more and are working with the tribes in their regions to implement higher standards. Below are some of their practice materials gathered during a Tribal ICWA Peer-to-Peer group meeting with the Capacity Building Center for Tribes. The National Conference of State Legislatures has compiled “states statutes related to strengthening, enhancing or complying with the federal Indian Child Welfare Act in states”. Visit the NCSL Website to Begin Your Search! A group of tribal ICWA managers and staff from across Indian Country have been sharing and learning together – and we would love for you to join in! This peer group provides an ongoing learning opportunity for information and resource exchange related to the Indian Child Welfare Act (ICWA). Our goal is to recognize tribal sovereignty and connect members with their tribal peers to share successes, strategies, barriers, resources, and lessons learned while they support one another in their work to improve outcomes for families. This group is open to any Tribal Child Welfare ICWA staff. Please contact Jackie Crow Shoe, Tribal ICWA Peer-to-Peer Group Facilitator, using the form below or via email, if you’d like to join!